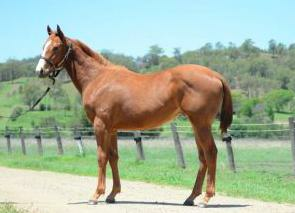 JET SPUR (AUS) (Chestnut 2002-Stud 2006). 3 wins to 1200m, MRC Caulfield Sprint H., Gr.2. Sire of 469 rnrs, 320 wnrs, inc. SW Mishani Honcho (GCTC BJ McLachlan S., Gr.3), Biggles, Mission Gdragon, Fixation, Tina Melina, Black Jet, Belle d'Amour, Emmalene, SP Hopes Eternal, Gundy Spirit, Heza Jetsetter, Equissential, Jam Toast, Mischievous Devil, Jet Down on It, Jetting to London, Siegfried, Splendora, Pickabee, Flying Jet, etc. Golfing (g. by Statue of Liberty). 7 wins to 1200m, A$117,875, to 2017-18, 2d BRC Giddy Up Club H., MRC (Mornington) Musk Creek Farm P., 3d BRC Doreen Bird H.
Angel of Liberty (f. by Statue of Liberty). 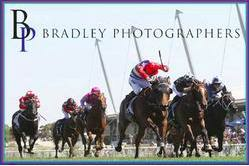 2 wins at 1200m in Aust. Favco (g. by Falvelon). Winner at 2 in Aust. Evil Cry (Street Cry). Placed at 2 & 3 to 2017-18, 2d MRC Schweppes 2YO H., 3d VRC Taj Rossi Series Final H., L, Eugene Gorman 2YO H., 4th SAJC Morphettville Guineas, L.
Eat My Trust. 4 wins from 1200m to 1600m, A$113,700, in 2016-17, BRC CMG Plaster H., 2d BRC Amgrow P.
Don't We Love It. 7 wins-1 at 2-to 1500m, A$151,160, to 2016-17, Devonport RC Birdcage Tavern H., MRC Buyaracehorse.com.au H., TTC Neil Buckby Landrover H., 2d Tasmanian Farmer H., Devonport RC Bird Cage Tavern & Functions H., Birdcage Tavern & Function Centre H., Tasracing.com.au H., 3d Devonport Racing Club H.